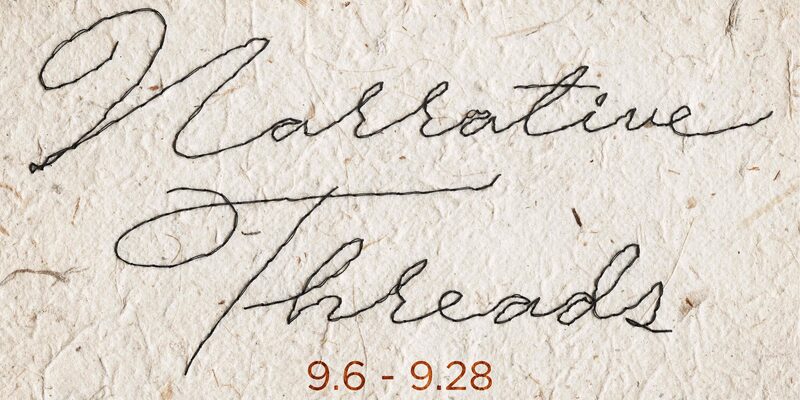 Art Gym Denver is excited to announce Narrative Threads, an exhibition of works that utilize thread to form a narrative throughout the art displayed. This exhibition is curated by Art Gym member and Director of Abecedarian Artists’ Books, Alicia Bailey, and includes a roster of artists from across the country. Narrative Threads features works that expertly combine the narrative and the tactile. The wall pieces, installations and books included all have narrative in mind, making use of thread and fiber-based materials to share that narrative. From ‘Migration,’ an artist book by Margo Klass which uses abstracted collage made of paper and salmon skin to discuss the process of Alaskan salmon migration patterns, to ‘Take a Piece. Leave a Piece’ by Art Gym member Katie Vuletich, which investigates the homelessness narrative through wearable art based on interviews the artist conducted with young people who experience homelessness. The exhibition looks at the entire spectrum of how thread and fiber are able to communicate a narrative to a viewer/reader. Join us for the opening reception of Narrative Threads on Thursday, September 6 from 5 – 8PM as well as a curatorial talk with Alicia Bailey discussing the process of creating and curating the exhibition on Wednesday, September 12 from 6 – 8PM. Also opening at Art Gym Denver is Help Yourself by Jazzmyn Barbosa and Bad Hombre by Gregory Santos in the Common Space Gallery with an opening reception September 6 from 5 – 8PM. Help Yourself by Jazzmyn Barbosa is a series of zines and digital collage exploring appropriation in an internet generation, while in Bad Hombre, Gregory Santos uses monoprint lithography to put a positive spin on Donald Trump’s negative remarks about Mexico. Join us on Wednesday, September 19 from 4 – 6PM for an artist demonstration with Jazzmyn Barbosa where she will show the process of creating a zine. Both exhibits are free and open to the public Monday through Friday, 9AM – 6PM. They will be on display from September 6 through September 28, 2018. 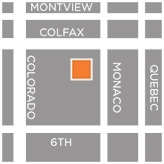 Alicia Bailey’s curatorial talk and Jazzmyn Barbosa’s artist demonstration are also free events.